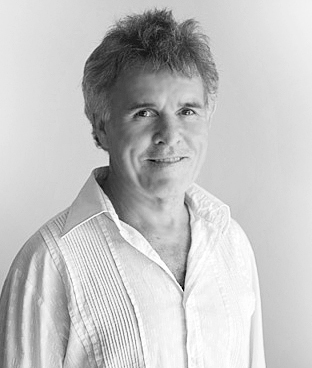 Official website for metaphysical & spiritual healing with renowned Australian teacher, healer and osteopath Peter Hoddle. Learn about the The Council of 12. Sunshine Coast, QLD. Ph: 07 5485 0955. At some stage in our lives, most of us will come to a turning point that causes us to take a deeper look at our selves. Whether it be physical pain or illness, life changes or difficulties, or a need to understand yourself with clarity, the ability to get to the root of any issues lie within your grasp and the rewards of pursuing them leads to immense, positive life transformations. One to one sessions: utilising reliable techniques that have been refined over the last 45 years of my career. These may include consulting on emotional and physical dysfunction, honest discussion and counselling, regressional hypnotherapy and meditation processes. Each of our needs are different, so treatments are tailored to your level of need and what feels right for you. Workshops: Designed to help your come to know and connect to your true self and achieve personal freedom, these workshops are often hailed as "life-changers" and "life-savers" by participants (read more). You can find out more about the upcoming series of workshops here. I welcome you to explore this website, find some life inspiration in the news section, get some more information on the workshops, ask me a question, or get in touch to book an appointment at my office on the Sunshine Coast. Stay up to date with my latest news, guidance and updates on upcoming workshops. Hailed as "life-changing", this is a very special series of five intensive workshops conducted over 10 months, held approximately eight weeks apart. This very special series has been designed with precision to help you on your journey of self-discovery, to realise your inner-truth and ultimately achieve soul connection. You will develop the knowledge and skills to transform your life and the opportunity to utilise Peter's extensive experience and guidance from The Council Of 12 in a positive, proactive environment of understanding and compassion. From beginners to experienced meditators and soul seekers, if you are serious about finding and embracing your true self and achieving clarity about your life, these workshops provide you with the ways and means to do just that. For the past 20+ years, I have been fortunate enough to work with The Council Of 12, a group of 12 non-physical beings, whose purpose is to assist mankind to reach a new level of awakened consciousness. They are a mixture of male and female energies all of whom have at one time lived through incarnations on the earth, just as we do today. They have long since mastered their emotions and, as such no longer need to live in this third dimensional reality. Their sole purpose - through their own choosing - is to assist those who truly seek knowledge. The 12 guide the workshops we do and those who participate have the opportunity to receive personal readings during the process about what they need assistance with. Many have transformed their lives with the 12's help. We are born with timelessness. As children, we live in the moment, we play, we are present, and we are free. In the child’s mind we can be lost from time, we can spend hours and hours and have no idea how much time has passed; this is the world of the child. We, as children, are connected to the whole; we are close to our true state. However we are about to enter the world of separation and isolation. We are soon to find ourselves disconnected. How do we go about changing from a place we don’t want to be in? For instance how do you change from a poverty consciousness to one of abundance? If you have a life-sapping illness and want to be healed, how do you do this? If you are trapped in grief after losing the one you love, how do you change this? These are just a few of the many situations we find ourselves in on our journey through life. To make an appointment or for enquiries or bookings for workshops, please call my office on 07) 5485 0955 or send a message via the form.